Why Denim? 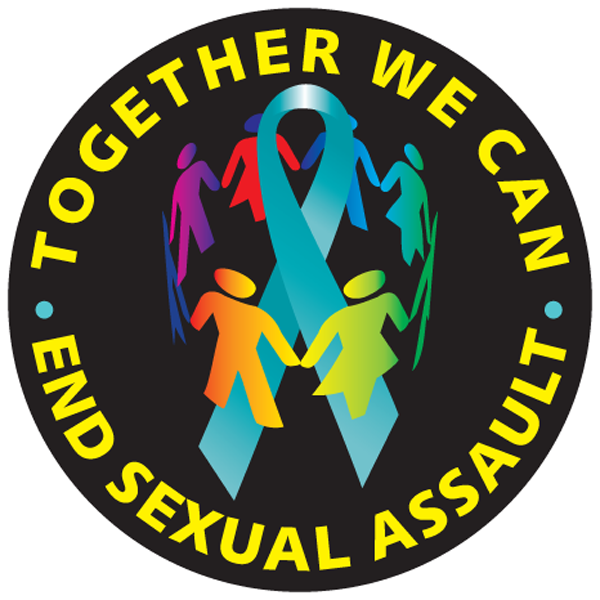 Buttons... *SALE BAG OF 1 ½” BUTTONS- 72 assorted Sexual Assault theme buttons per bag, only $32.50. 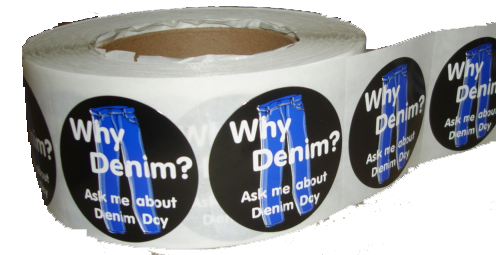 2" stickers with Why Denim? imprint. Roll of 1,000 stickers only $53.95 per roll. White 2" sticker with multi-color imprint. Roll of 1,000 stickers only $53.95. 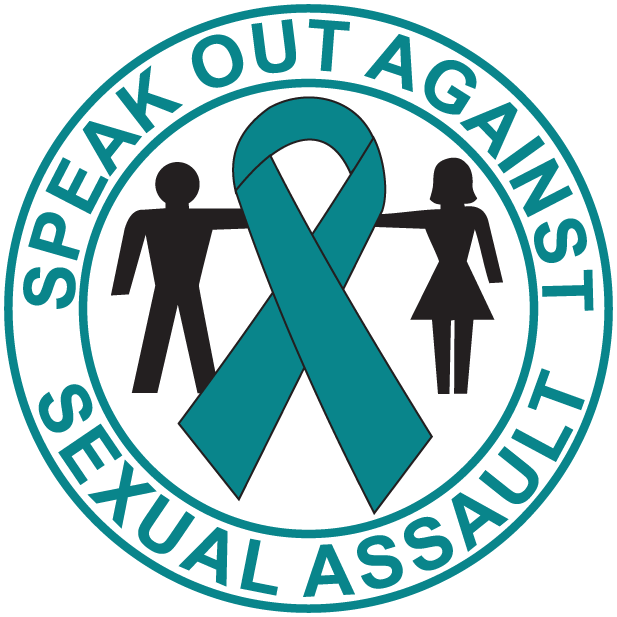 *See info page for special sale on all our stickers. Round metal 1 1/2" button with safety pin Only $0.50 each. *SALE BAG of buttons item #612. 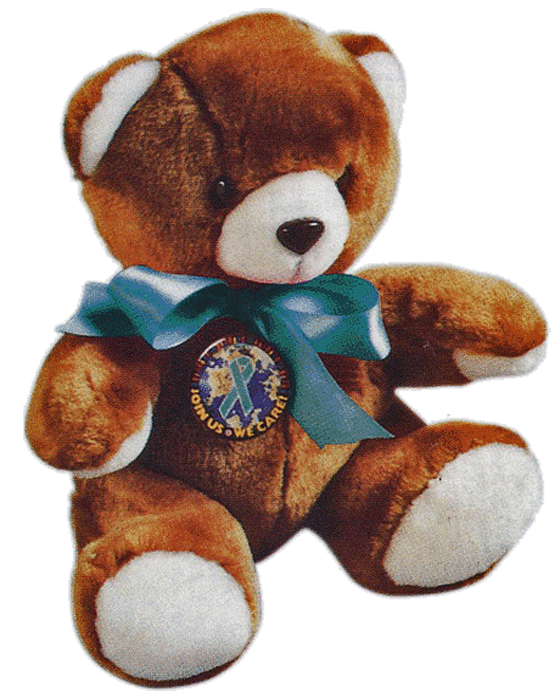 *See info page for sale packages. 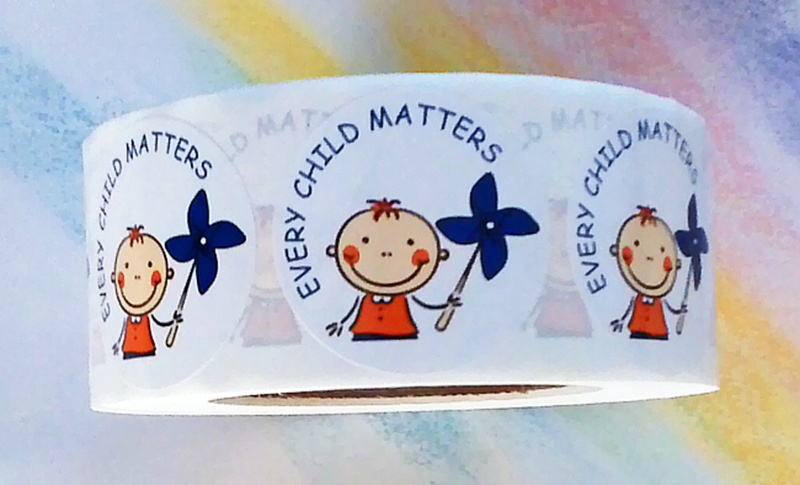 White 2" stickers with Teal Ribbon imprint. Roll of 1,000 stickers only $53.95 per roll. See info page for special sale on our sticker designs. White 2" sticker with themed imprint. Roll of 1,000 stickers only $53.95. White 2" sticker with themed imprint. Roll of 1,000 stickers only $53.95 roll. See more info page for special sale.